A good wool blanket is hard to beat in an emergency situation. They are also very nice to have just during the cool months and evenings. 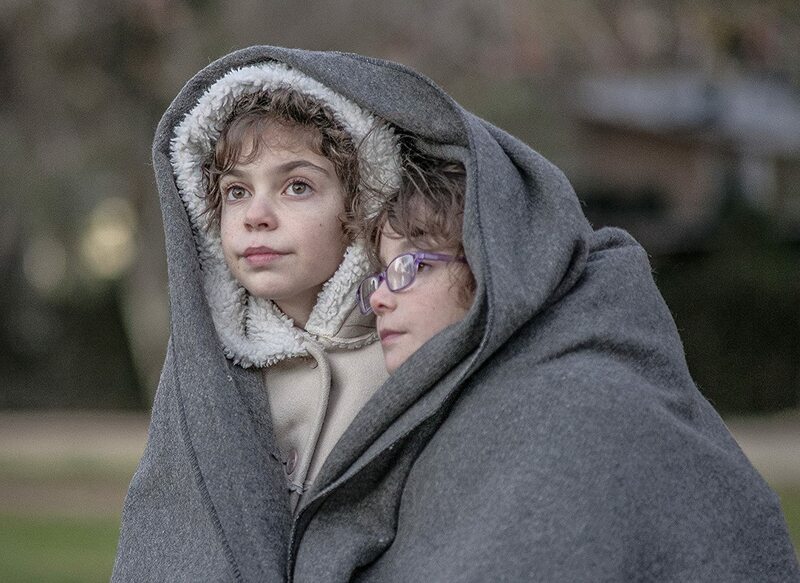 At night, they can actually help you save on heat because an extra wool blanket can keep you warm enough that you can manage to turn down the thermostat a few degrees or burn less wood. A wool blanket provides a lot of warmth per pound. 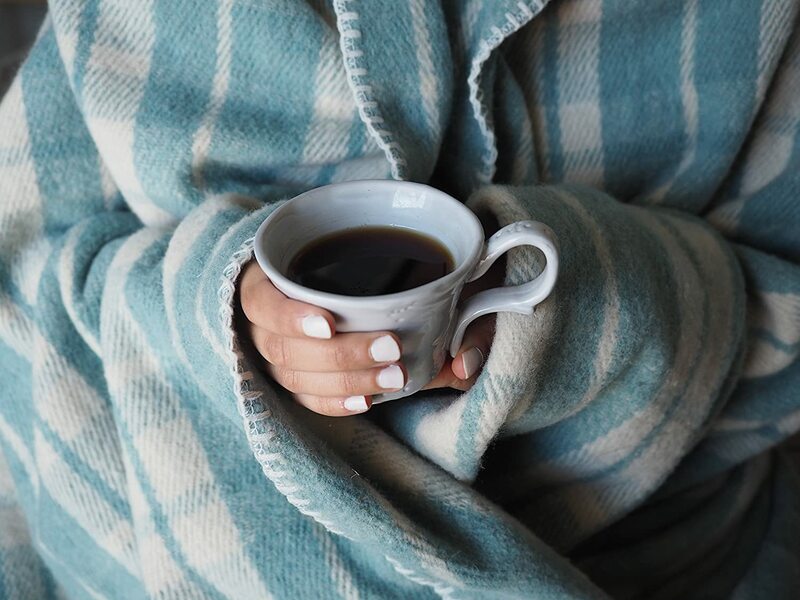 In some climates, a 2 lb blanket is all that you might need year round or you may want it for the warmer months of the year or to use for layering. If you want versatility and live in a temperate climate than several lighter weight blankets may be better than a single heavy one. You can always add another blanket. The blankets in this post range from 55%-100% wool. I have indicated the percentage for each in the description. The remaining percentage is usually made up of rayon, nylon, or a blend of synthetic fibers. Most of the sizes are pretty generous for the blankets I found. A few come in sizes made for various sized beds. A smaller size may be better if you are packing this blanket in a pack and sleeping by yourself. If you are handy with a sewing machine or don’t mind a little hand sewing, you can cut a wool blanket in half and hem or stitch the resulting raw seam, for two small blankets. A wool blanket that measures 66″ x 90″ could actually be cut and the raw seams stitched to make 4 small blankets that measure 33″ x 45″. I definitely included some very budget friendly wool blankets in this post but I also included a few that have a higher price point but are from some brands that are known for their high-quality wool. I would say the higher cost blankets are best for use at your house or a small cabin whereas the less expensive military-style blankets are good for general camp use. If you get a stain or get a $20 blanket dirty then no big deal. A $100+ blanket is not something you want to pack in your bag and head into the bush with. 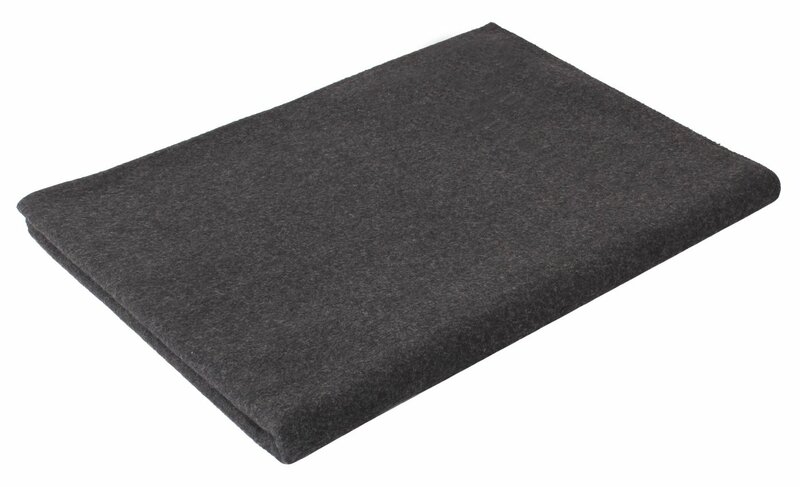 Cheaper wool blankets are good for situations where there is trauma, body fluids, etc. Less expensive wool blankets are plenty durable but they often don’t have the same feel as a finer wool blanket and they may not be washable in a regular machine. For best results, use a detergent that is designed for wool. These often contain lanolin which will help preserve your blanket and keep it soft. Our Shetland ram, Truman with a full fleece. One thing that gets mentioned a lot when it comes to wool blankets is that wool can be so darn itchy. The basis for this is valid. Wool can seem pretty rough. I raise Shetland sheep and they love nothing more than to find a good place to rub on. Apparently, wool can be quite itchy for those that are growing it too! Nowadays we have methods of refining wool that make it less itchy. Some brands such as Smartwool are very soft. Some of the softer wools do cost substantially more. Wool blankets are often used as a layer that is not directly against your skin. Keep in mind any clothing you have on is going to provide a barrier to the actual wool as well. Lambswool is super soft. This is Ruby Pearl our Great Pyrenees with Clover, a lamb that was rejected by her mother. In a true emergency, the itch factor is not going to be your main concern anyway. I am not saying that all less expensive wool blankets are going to be super itchy but it is something to consider if you sometimes find wool irritating. Some wool blankets will be ruined if you put them in the washer and dryer. Make sure to carefully read and follow the care guidelines for any blanket you buy. If you only want those that you can wash then be prepared to pay a little more for the convenience. On the other hand, dry cleaning or at home dry cleaning kits can add up. Spot cleaning wool blankets is often the way to go if you have one that you can’t just throw in the wash. On the other hand, a few of the blankets out there are inexpensive enough that if they get too dirty you can just toss them. Sometimes an emergency situation means not caring much about how clean you keep something. This is the argument behind keeping some budget friendly wool blankets around. Beyond the obvious of splitting a blanket up to form several smaller ones, you can also use wool blankets as fabric to sew all kinds of gear. Wool blankets are cost-effective when used as just cloth for other household items you may need. As someone that has done a lot of sewing projects and quilting over the years, I know that fabric can be $10-$20 per yard for thin to mid-weight cotton. Wool is a bargain for the warmth and durability. Wool repels fire without being specially treated. This is a good thing to know in an emergency. While some people talk about how things are sprayed with fire retardants, there is no reason to do this to wool so unless you have an allergy to wool, it is a great way to have some naturally fire resistant blankets and clothing. This is basically the classic style Army issue inspired wool blankets that I remember having as a kid. You could get them for very little, especially at military surplus stores. They are fairly soft for the price. This particular version contains less wool than other blankets on this list. The percentage of polyester helps make the blanket softer. For those looking for a good inexpensive camp or emergency blanket, this is a blanket worth looking at. This would be a good option for packing or stashing in your car just in case. This weight is great for warmer climates or in between seasons. This blanket is excellent as a supplement to a sleeping bag. If you want a heavy duty blanket that you can pack with you then this is a blanket that offers affordable durability at the same time. This is also a machine washable blanket so you can use it for a lot of different situations and enjoy easy clean up. If you got kids that like to play outside a lot or that are avid backyard campers. I know that this is just a a 50-50 blend but for most of us this blanket would be just fine in an emergency or for layering if the power went out. At under $15 they are a pretty good deal so you can afford to have a few put back for those hard times. One thing I noticed about this blanket is that despite the reasonable price point ant the 100% wool content, it is presented as being non-itchy. 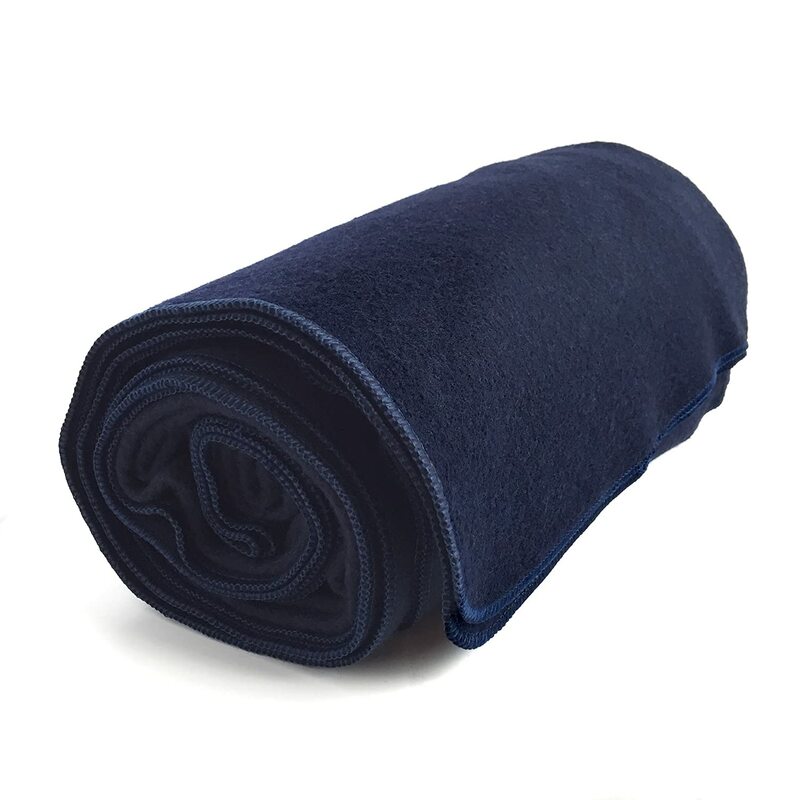 This blanket is very heavy making it suitable for extremely cold climates or major situations. Due to the weight, I would recommend this as a blanket for home or “bugging in” use. The tightly finished edge stitching is a nice touch that offers increased resistance to fraying over time even in tough conditions with consistent use. I really like the navy blue color. The color is a nice alternative to the traditional grey and OD green colors I am so used to seeing when it comes to wool blankets. At under $50, it is amazing that this 100% wool blanket is made to be totally washable so it is super easy to maintain and use regularly. 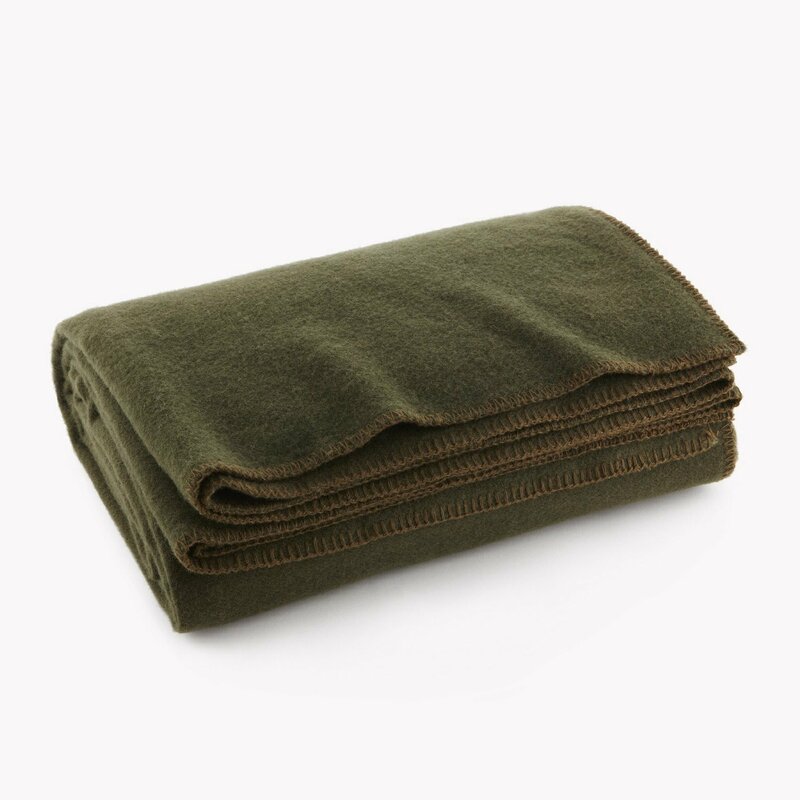 This is a basic military style wool blanket. Rothco makes a lot of different survival gear so you may be used to seeing their name or have some of their other gear. This would be a good utility blanket for camping or emergency use. It is a mid-weight so it is a good choice if you are just going to have a few wool blankets on hand. This is a slightly smaller blanket than some so it is not large enough to cover some beds. It does say that it is to be dry cleaned only on the care tag. Some customers say they have washed this blanket using the delicate cycle and cold water then tumble dry for 10 minutes and then air drying the rest of the way. If you do this the blanket will shed some and then be very soft. For those that want some major cold protection, there is this blanket that comes in at just over 4 lbs. It is a few inches smaller in width and length than some of the blankets on this list but still plenty long enough for using to layer on a bed or cutting up and hemming for smaller blankets for kids. The blanket is lock stitched on all sides. This is a machine washable blanket making it great for everyday household use as well as camping out! The seller does state that the blanket may have a slight odor when you get it. This is pretty common with military surplus grade blankets. Simply wash this blanket a few times when you first get it and there should be no odor left. 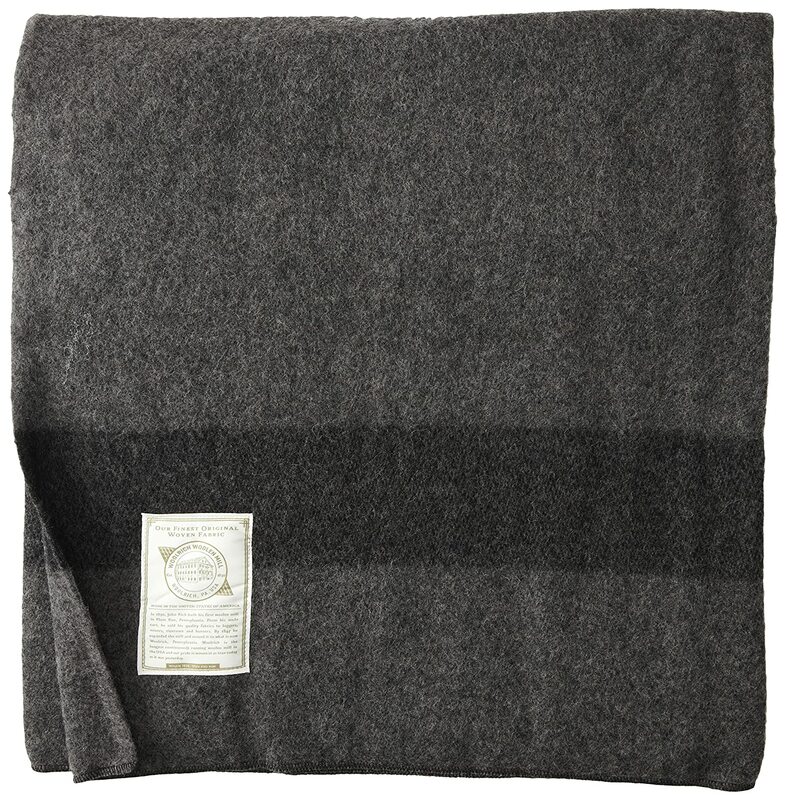 This is one of the more luxurious wool blankets on our list today. I include it because sometimes you want something that is nice for your house but that can take on the cold during a power outage or long term emergency when needed. You can choose from different sizes and colors to match your taste. 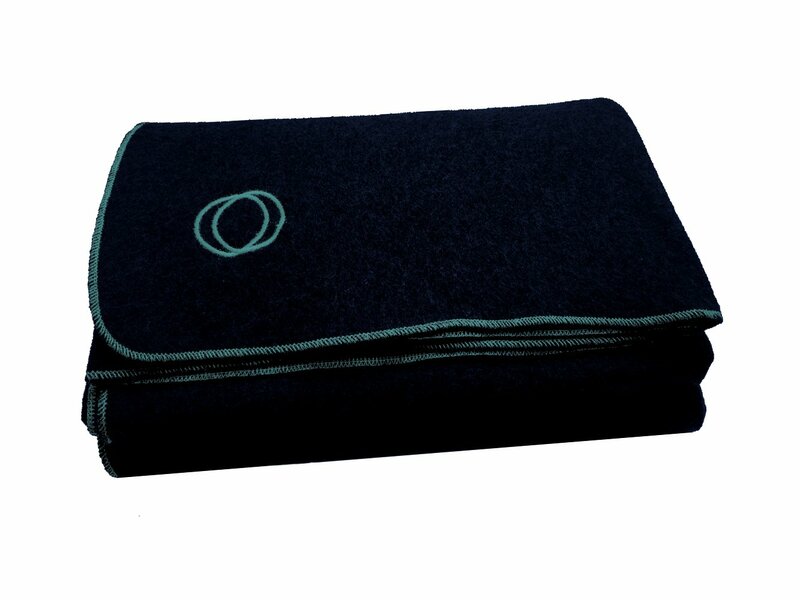 This heavy wool blanket is made of very soft wool that is designed to actually get softer with each washing! This is another classic OD green military surplus style blanket. At 3.45 lbs, it is a mid weight to heavyweight option due to the high wool content. I like that this blanket has the heavy lock stitch hem that I have come to expect from a good emergency wool blanket. Orion Blanket Company donates 1 blanket to charity for every 5 that they sell. Luckily, they also make a very good quality and attractive blanket. This blanket is a good alternative to the common army green ones for sure. It is washable so care is easy, making it an option for daily use in your household. Orion does recommend using a detergent designed for wool for best results when cleaning. Your blanket will last longer and be super soft. 100% Wool and Washable! This blanket is made of the best quality wool out there and treated so that it actually gets softer when washed! Pendleton is a name that always brings to mind quality to me. This is a very high-quality blanket that will last for many years with proper care. Since it can be washed, the care is hassle free. The fact that it gets softer makes it even better. The sizing of each blanket is generous. This is a good blanket for keeping at your home for emergencies or daily use during the cold months. It is not inexpensive so not a good choice for camping. You can choose a variety of color patterns and Pendleton has an excellent guarantee on all their products. I am a big fan of these blankets. I have owned one for many years and although it is rarely cold enough here to feel the need to get it out, I like to have it around. When we were living in a camper while building our small house it was hard to keep the inside temperature more than about 60 degrees when it was in the single digits or 10s. This blanket helped get us through that and we still have it. Actually I think our Swiss wool blanket has been around for over a decade at this point since we had it even before we started building our house! This is a very warm blanket and I personally do not think it is overly itchy. It is pretty soft for the price and the tight stitching around the hems has not failed yet. 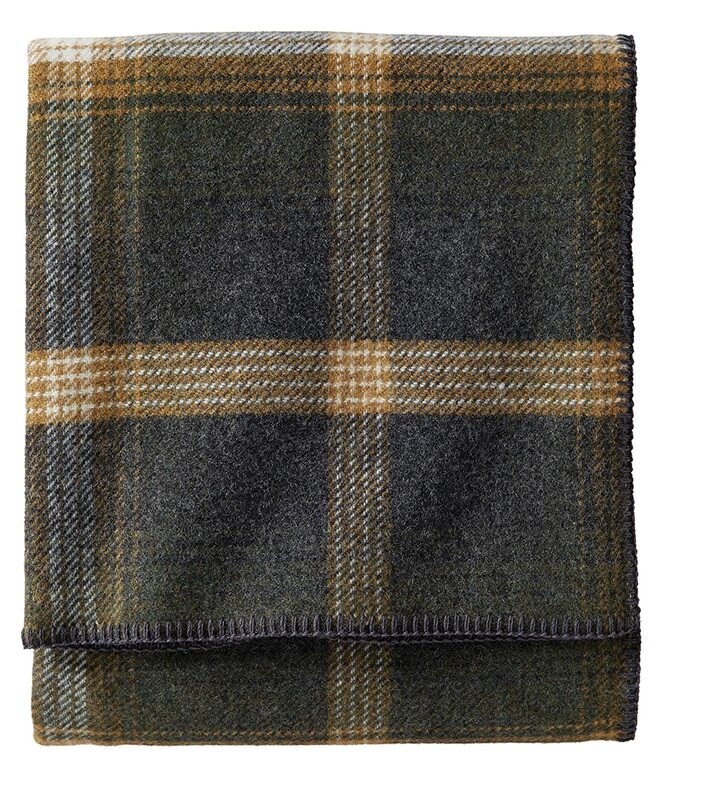 This blanket offers a traditional look from quality outdoor gear maker, Woolrich. The 3 lb size is a good mid-weight range for a wool blanket. This would be a good blanket for layering or using to supplement a sleeping bag. 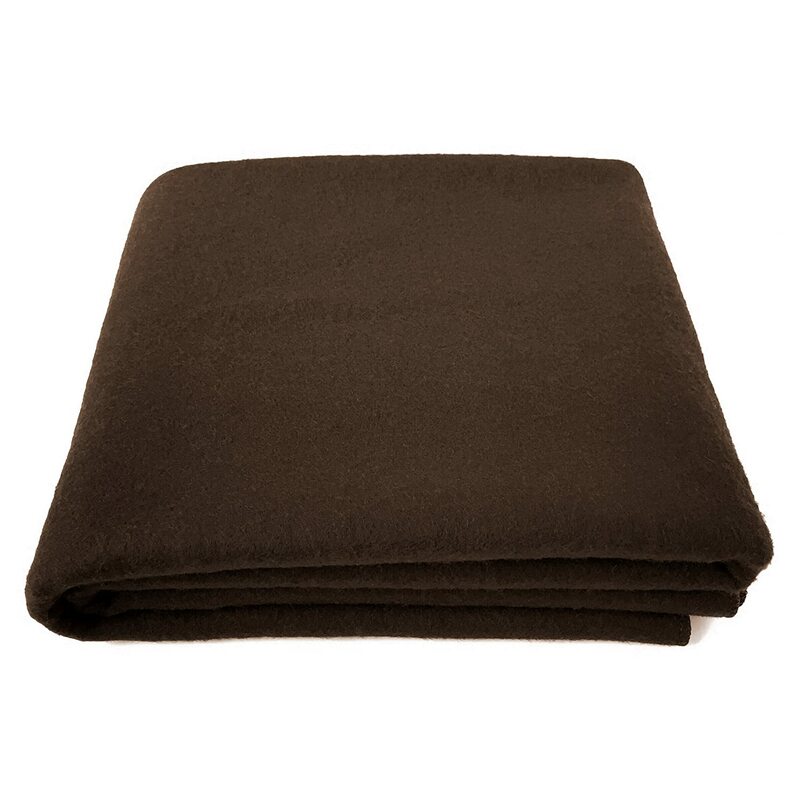 Most people use this blanket as a layer on their bed at home or in case of a power outage. At around $100, it is not a blanket most choose to take out with them on the trail. Some of those that are into reenacting use these blankets regularly at events. This blanket must be hand washed or dry cleaned so just spot clean when possible. 10 lbs 5 ounces. This is the heaviest wool blanket in this post. While this is a very expensive blanket, they have been around a long time for a reason. Hudson Bay blankets are distributed by Woolrich and offer the same style and design that has been so popular since the 1700s. These blankets are renowned for their softness and durability. 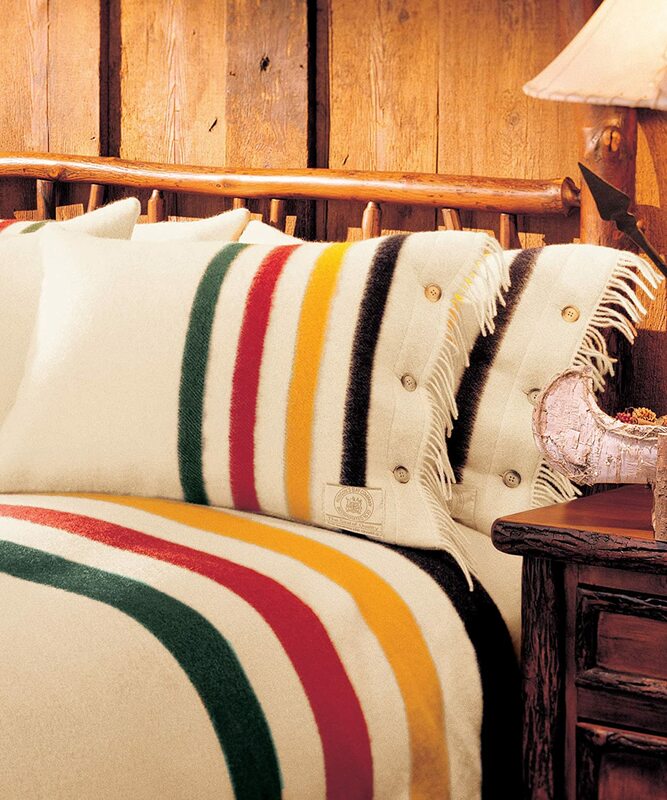 All Hudson Bay blankets are hand loomed in England of the finest wool. You will truly have this blanket for a lifetime and enjoy it if you take care of it. It is dry clean only. 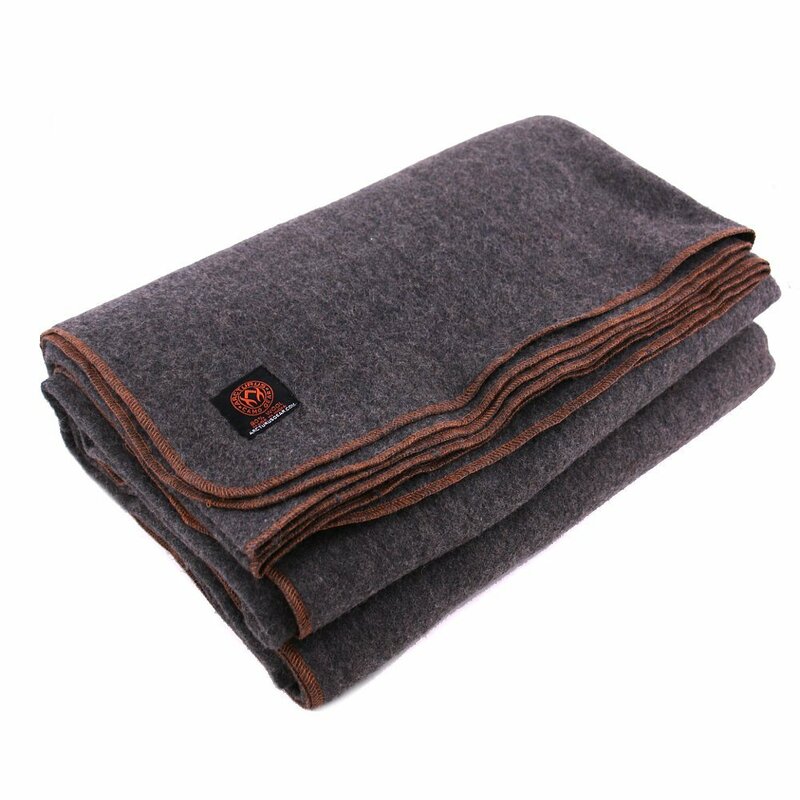 This is perhaps the most luxurious wool blanket and great for keeping at your home for emergency or daily use. What’s your favorite wool blanket? Have any tips for cleaning them? I noticed that most wool blankets are 2 lbs or more. Is there any super light yet warm ones out there that you have found? If you enjoyed this article, consider subscribing to email updates. When you do, you will receive a free, downloadable copy of the e-Book, The Emergency Food Buyer’s Guide. Also check out our Facebook page regularly for links to free or almost free eBooks that I personally reviewed just for you. You can also vote for Backdoor Survival daily at Top Prepper Websites! How Long Does Canned Food Really Last? I have a couple of blankets that I made from mill ends gotten from a bulk fabric store here in Ohio. I paid $1.00 a yard! 60″ wide, and made to fit my bed. Soft, washable (get softer each time) and use them half the year. I also have loads of Pendleton wool pieces from customers’ sewing projects and make wool comforters, no batting. Great for the really cold weather! I have made a capote out of some twin size wool blankets that had been washed in hot water by mistake and I was given for free. They had shrunk to the point that the back was one twin blanket. But the blankets ended up real thick. And made a real thick and wind proof capote that I still use 25 yrs later. It was all hand sown with artificial sinew thread and I used this at winter black power shoots and camp outs. Thank you! I can always count on your site to in form me on such a wide variety of preparation topics. I was just thinking recently, where am i going to find some good blankets, and what constitutes ‘good’ anyway? And here you are with the info i need! One important factor to consider for a camp/bugout blanket is wools ability to shed some water and keep you warm even when wet. 40+ years ago I went camping with a 4H group with only a wool army blanket for cover. There was light rain that night and the blanket kept me warm and dry. Also, I raised sheep and used the wool for stuffing quilts and knitting, so came up with a method to machine wash without shrinking my wool quilts and garments. Simply fill the washer tub with warm water and an appropriate wool cleaner, set the machine on soak if you have that setting, add the wool blanket/garmet and let it soak with the lid up. Drain the water and set on spin. Repeat to rinse. this method worked very well to wash my hand knit sweaters and wool stuffed quilts. The trick is to mke certain the machine does NOT agitate. Agitation will felt your wool. Set your wool out to air dry. The Hudson Bay Queen blanket is my favorite blanket. Sometimes I take it off the bed and “lug” it down to the living room couch. I mean “lug” because it is a heavy blanket!!! I too have a Hudson’s Bay (correct spelling, check the label) Queen Blanket along with several Army issue OD Green twin size blankets (a couple of them dating back to WWII, these being 100% wool, the newer ones being an acceptable low cost blend). I have washed my HB blanket on Gentle and/or Handwash cycle in cold water using unscented Woolite with an extra spin cycle, then line drying (NEVER, NEVER in the dryer!) It has not shrunk or lost any measurable weight or thickness. I’ve only done this 3 times in 20 years, but I have done it. If nothing else, you can just hang it on the line on a warm sunny day and let the sun’s warmth and UV rays sanitize it once or twice a year. One last thing, every time I’m in a thrift store I always walk thru the bedding / blanket section. I have found both wool and heavy fleece blankets at very reasonable prices including Army issue OD blankets and a Hudson’s Bay style with a JC Penny’s label on it. I think I paid $5 or $6 dollars for it. Good Find! This was a great article on wool blankets. I had a military blanket from the Viet Nam era but it was stolen along with my entire backpack in the early 80’s. It was a good blanket but from repeated washings it began to look like moths got to it. I saved the links that you provided to my camping folder and appreciate your effort in locating theses blankets, their quality and ideas to use them. I posted the link to your article on my profile as I often do. Whether we’re planning to “bug out” or “bug in”, we need to have some idea about how to keep the bugs from eating our wool! I’ve had the sad experience of pulling a sweater out of a storage bin, and finding various gaps and runs that weren’t there when I put it away. I suppose with any natural fiber, there’s something in nature that eats it. A cedar chest with a close-fitting lid might help. I all ways look for wool blankets at Good Will and Salvation Army stores. I have purchased several of them mostly older GI blankets. I always take them to the laundry mat and run them though a long hot dryer cycle 1st thing at least 30 minutes. This works just fine with dry wool items. This kills any bugs that may be infesting the items. As for storing smaller wool items I vacuum pack them. Keep them clean dry and bug free. I do not use the bags that you hook up to a vacuum cleaner I use a Food-Saver to vacuum and seal the items. If you are really worried about an item put it in you freezer for 48 to 72 hours. This should kill and larvae. Than after it has returned to room temp than vacuum pack it. I’ve still got my old Army one. Hate it but they work. I love Merino wool though. My husband has a very old Hudson’s Bay queen blanket from maybe 30 years ago. It is so warm, so heavy we don’t use it! But! Should the need arise in winter with an electric outage, you can bet we will haul it out and onto the bed over the duvet and wake warm and flattened in the morning. Faribault Woolen Mill (Faribault, MN) has some good things at different price points. I have purchased from them over the years, and found their wool blankets to be good quality and long lasting. I have two old “heavy” wool blankets that were my father’s when he was in the Navy. I always carry them in my car in the winter, “just in case.” They are especially nice for kids in the back seat to keep them warm! I take them out in the spring and let them “air out” on my clothes line. Afterwards, I store them with a little sachet of lavender buds to keep moths, etc away. A few of you have mentioned old army blankets here. I inherited a friendship quilt made by my great grandma and her friends. Each of the friends sewed a pile of squares over the winter, and embroidered her name and the date they completed the square. When they got together to finish the quilt tops and quilt them, they used old worn out wool blankets instead of batting. The quilt is lovely and warm, and of course, not a bit scratchy! I live in Canada and the best wool blanket I ever had were two. 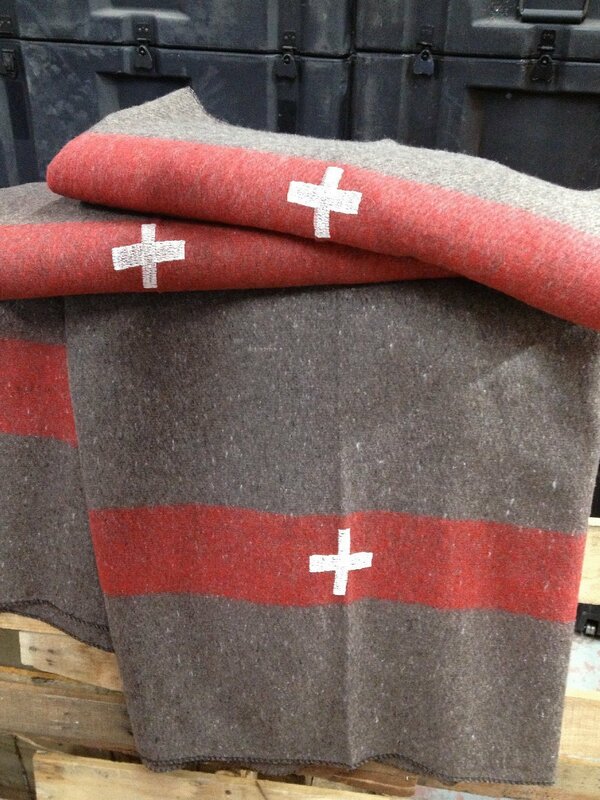 One was made by Burns Country and the other was a real Hudson Bay Company wool blanket. But I must say that the Burns Country one was more comfortable in which I use for my blanket.Your website was very useful and very helpful. And by the way if anyone gets a horse blanket in which we have gotten in the CND army basic training they should keep it. It was one of the warmest blanket that I used during the winter training program I went through. I was snug and warm inside my CDN army sleeping bag with the horse blanket as a inside layer. You really knocked it out of the ballpark with this article and the one on Best Boots for Preppers. Where I live it’s shorts and flip-flops 90% of the year. But I’ll be moving where there is actually weather and I’ve been agonizing over the two subjects which I knew nothing about. Keep up the good work. Very much appreciated.